I'm always in the mood for a co-op shooter and we already know that zombie co-op shooters work pretty well, so why not another one but set in the "World War Z" universe? 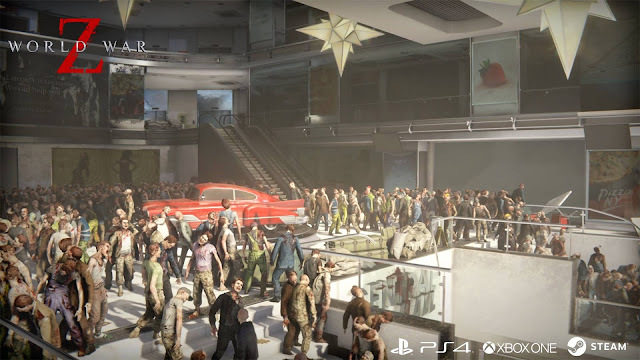 For all intents and purposes, the gameplay looks quite similar to Left 4 Dead although the biggest difference I can see is the sheer number of zombies that will be rendered on the screen (literally hundreds it seems) which means when you're facing a horde of zombies this time, it really is a horde. The real question is though, will there be enough innovations in gameplay to make it stand out from Left 4 Dead, the game that started the whole craze 10 years ago?